Made from responsibly sourced FSC certified oak, this set of 5 plant labels are ideal to identify your vegetables, shrubs and plants. 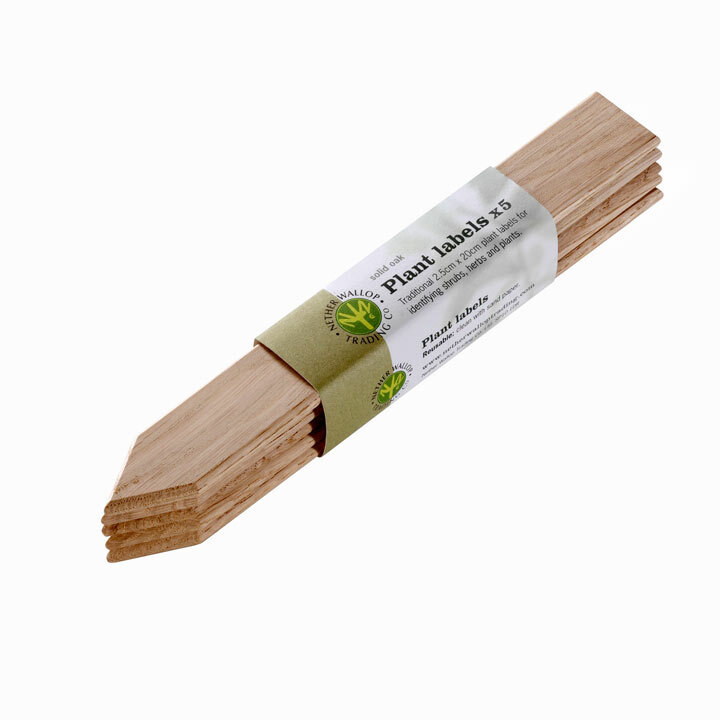 At the end of the season, simply clean the wooden labels with sandpaper and reuse next year. 20 x 2.5cm.